A Skytap Cloud environment can contain multiple automatic and manual networks. Each VM can be attached to zero, one, or multiple networks in the environment. For a comparison of these network types, see What is the difference between automatic and manual networks? By default, networks in the same environment are isolated from one another. To allow communication across networks in the same environment, see Routing between networks in the same environment. By default, networks are isolated from networks in other environments. To allow communication across networks in different environments, see Networking between environments. VMs use network adapters to connect to networks in the environment. If you need to connect the VM to multiple networks, you can add multiple network adapters to the VM. The VM can be attached to up to 10 networks in the environment. For more information, see Attaching VMs to networks. 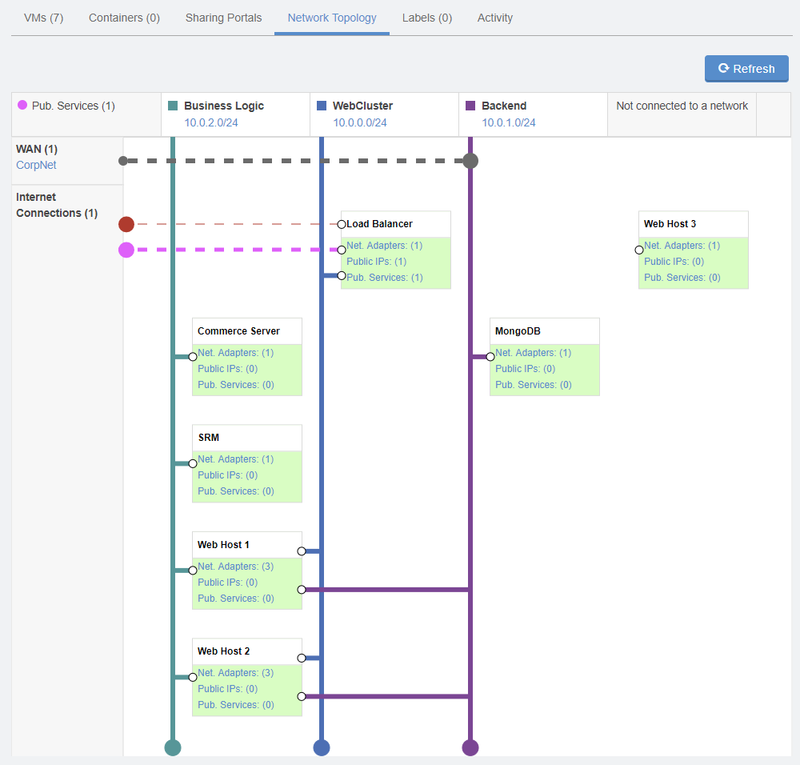 For a visual overview of the network connections in the environment, access the Network Topology tab on the Environment details page. For instructions, see Viewing the network connections in an environment.